You can live your life stuck in neutral... or you can find a new road. Jack Lilly thought he would find his calling in college. Instead, he finds himself back in his hometown, selling cars at George Lyle's car dealership, trying to figure out what happened while trying to deal with quirky co-workers, a difficult boss, and temperamental customers. Then George's daughter, Lotus, joins the dealership. Fresh from college and full of ideas, Lotus sees the potential in both the car dealership and the staff and she's determined to take things to the next level. What she doesn't realize is that there's another side to the man she calls her father: a side that George will no longer be able to keep hidden. As Jack and Lotus navigate the colorful world of car dealerships and life choices, they find themselves facing the question: do you stay with the familiar? Or find a new road? William Burpeau's first novel is a fast, fun read, filled with colorful characters, humorous situations, sweet romance, and a dual coming-of-age story. Jack and Lotus are two young people, struggling to find their way in the early nineties, and finding each other in the process. George Lyle, Lotus' father and chief antagonist, is a complex character: his insecurity and jealousy rule his life to the detriment of all his relationships, both business and personal. Burpeau's depiction of the tough life under an unpredictable and unfair boss is so real to life that I found myself flashing back to past experiences. But the message of the story isn't a tale of revenge of the underlings, but rather the triumph of character (good character) and love over misery and small-mindedness. Jack and Lotus learn a lot over the course of the year, including when to stick things out - and when to simply drive away. Definitely recommended. There's still time to enter! 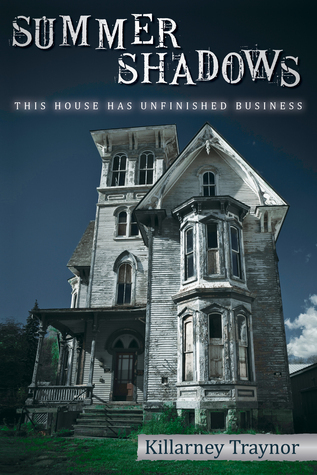 You could win one of two signed copies of Summer Shadows in the Goodreads giveaway!